Move beyond the Concept phase! One of the barriers to game design is a lack of components. If you had blank cards sitting around, you would be more likely to start designing a card game. If you had some dice, you might design a dice game. 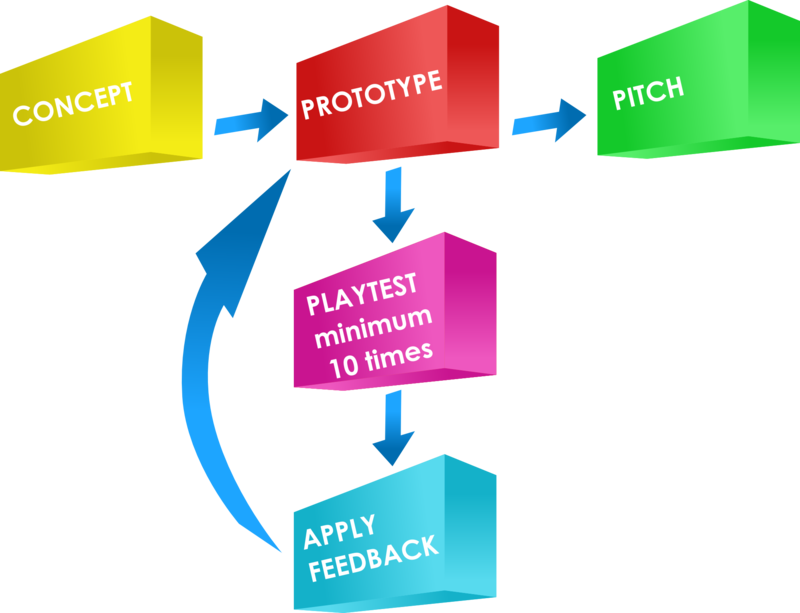 The point is that if you had game design components available to you, then you are much more likely to move your game designs from the Concept phase to the Prototype/Playtesting phase. Today I am listing some of the items that I find most useful in putting together a prototype. The hope is that you can find what you need to move your game design along. Getting to the playtesting phase is often the biggest hurdle, but it’s the critical step in determining if your game design has any potential. So check those out and then come back here for the basics to get you from the concept phase to the playtesting phase of your game designs. Here is my checklist of excellent items to have in case you are ready to move from concept to prototype. To make it easier for you I have provided two lists, one for Amazon, and one for EAI Education (my preferred source). This way you can choose one and buy everything you need from one place. With cards, dice, meeples, and cubes you are basically ready to roll out your game design prototype. Of course there are other things that you may want, but as for a Game Design Starter Kit I recommend these four items very highly! Please let me know if you have any questions.